They say that Disney is the greatest place on Earth. For a twentysomething year old who has never been, but recently returned from Universal Studios for the first time I’m willing to ignorantly argue that claim. Universal Studios is the most magical place I’ve ever been. It’s a place that doesn’t attempt to hide the illusion of what you are experiencing. They know you’re aware of the carefully placed advertisements for their products (so much Minions). They have no shame in the cash cow they’re milking at your expense. 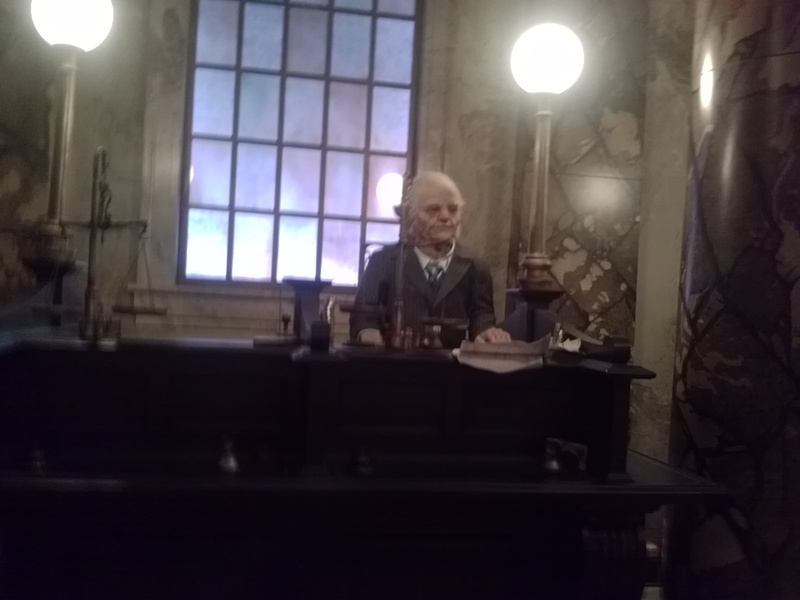 They know you’ll repeatedly wait in long lines just to ride the Gringotts Wizarding Bank in The Wizarding World of Harry Potter— and they’re right. What Universal lacks in shame they make up for in unadulterated entertainment making my three-day trip at Universal Studios some of the absolute greatest moments of my life! 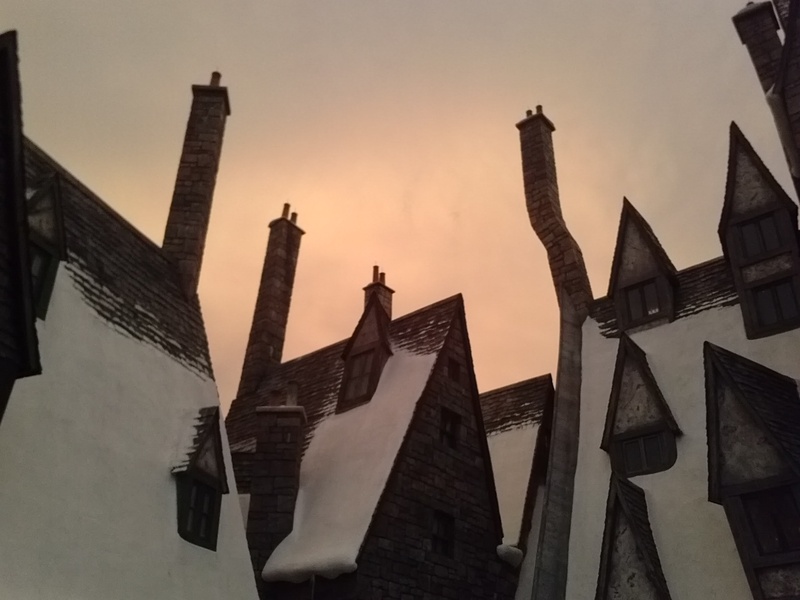 Universal Studios transported me into a majestic world that merged technology with reality so effortlessly that I felt like a tangible part of the worlds created for each ride. Imagination is recommended, but not necessarily required in order to fall into character throughout different rides and attractions at the park. I felt like an actual member of a team assigned to defeat the autobots on Transformers: The Ride. I became a new friend at Hogwarts and stared with wide-eyed wonder while enrapt in a Quidditch match as my seat whipped and swiveled around. I screamed in delight while dodging the terrors of Bellatrix Lastrange and Voldemort through strategically maneuvering roller coasters and three-dimensional images on screen. And although I have been unimpressed with the Mummy franchise for years, I was completely blown away by how thrilling the in-door roller coaster was. There’s actual fire that burns over your head in that ride! Ok, maybe imagination is key, but it’s not hard to achieve at Universal. Yet, amidst all the Butter Beer, alcohol, sushi and burgers, enchanting rides, and firework laden nights, I couldn’t help but continually question where our priorities as a society lie. Sure, our mastery of “4D” technology and mind-blowing technicalities are impressive enough to stun children and adults, but are we simply wasting this technology on amusement? Universal Studios alone is a testament to the brilliant minds and engineering capabilities of humans on this planet. Shouldn’t we be using the constituents of this technology to build, produce, and fix what needs it the most on this planet? Especially considering experts have pointed to a stalemate of socially And culturally progressive innovations. Earlier this week, it was reported that a UK-funded company, Sightsavers, is combing cell phone technology with medical research to help combat trachoma in 22 countries in Africa, Asia, and the Pacific. Trachoma is a painful infection of the eye caused by unsanitary conditions which allows the bacteria to run rampant in the eye of the infected ultimately resulting in blindness if left untreated. The disease is so painful that one infected patient stated that she wanted to pull her eyelashes out. Thankfully, Sightsavers is utilizing a mapping function in cell phones to map areas where trachoma is frequently occurring to better serve antibiotics and other aid to those in need. When I reflect on the fact that the Wizarding World of Harry Potter can brilliantly bring to life the talking, animated newspapers and paintings featured in J.K. Rowlings’ mind or make the animatronics in Gringotts’ bankers so detailed, so minutely realistic, that every person who glanced at it initially thought it was real people in make-up. Or that through smoke and mirrors a hologram transmutated into existence before my eyes, only then when my mind is completely stupefied by what we are capable of conceiving, I wonder what we are doing with these advances besides entertaining those privileged enough to see it? Comment with a link or news bit that you know of that showcases menial technology getting utilized in big, socially significant ways. I’m genuinely curious to know!